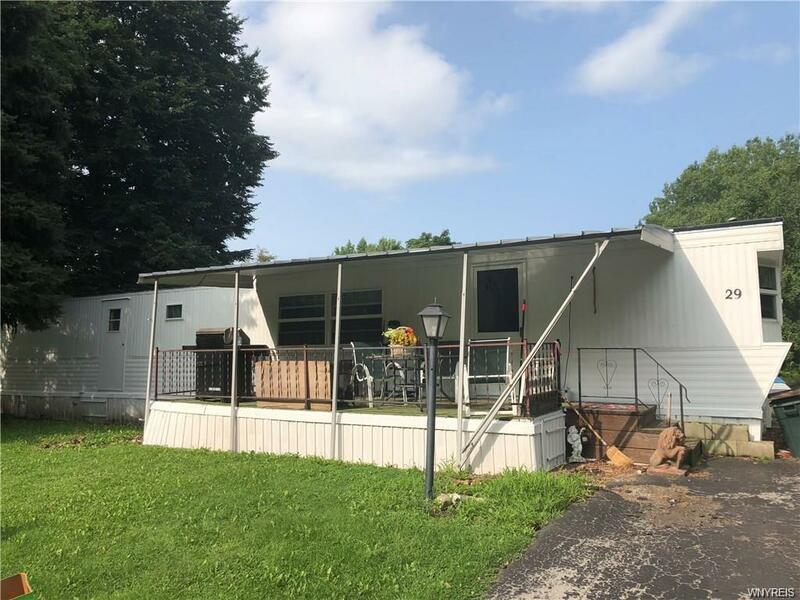 60X12 single wide mobile home with 20x14 addition w/vinyl siding. Addition affords more living space and includes a mud room/laundry room with side door to the garage. Open covered front porch and extra large size yard. Garage has both heat and electric. Seller has updated with extra insulation, tilt in windows, plumbing, brand new rood, gas HW tank. Central air too! Very affordable living in nice park. Motivated seller. Directions To Property: From Clinton St. To Country Meadows, Across From Terry Hills. 1st Right In Park Is Overlook. Property On Left Side Almost To Dead End. Nearest Cross Street: Clinton St.